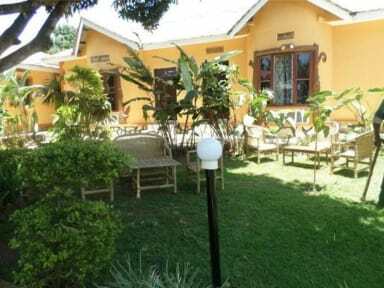 Gorilla African Guest House is located on Plot 14 Jinja Road, Kiwafu in a quite serene and quiet Entebbe neighborhood. 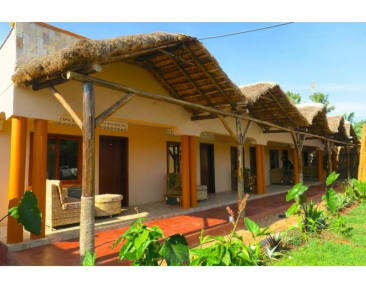 Its close by to Entebbe Virus Research Institute and Aero Club. The area is good for travellers who want to be away from the busy and noisy city schedules. Checking in will be upon presentation of valid national identification ie passport, drivers license. Guests are requested to keep valuables at the reception. The price includes accommodation plus any board indicated. All extras such as meals, telephone, drinks etc are additional. Any extras services taken during your stay are payable on departure. Please take care with our accommodation. You are responsible and liable for any breakages or damage that is caused while you occupy the room including any accidents that may occur. If any damage is caused you are responsible up to the full cost of replacement or repair. The costs will be taken from the credit card used to secure the booking or pay for the stay. This also applies to anything that goes missing from your room during your stay. One key lost will incur US$25 charge for a replacement. The stuff was very nice and made my first week in Uganda as comfortable as possible. The food was delicious, the rooms were simple but you got everything you need, included a mosquito tent and a shower and flipflops;). There was also a plastic bowl for washing your clothes on your own. I would like to come a second time.